The talented, NYC-pianist, Jeremy Schonfeld, explores the music of the Holocaust—inspired by his father—with soulful vocals, cinematic strings, rock and pop arrangements, and folksy rhythms. The opening track, “The Mourner’s Kaddish,” opens with a chorus of voices singing in the Hebrew language. Jeremy’s voice joins in to make the track sound rich with a theatrical presence and all the joys of a cinematic piano and slightly folk-centered atmosphere. The bluesy-rock anthem, “Dead Beat Heart,” is a roots-rock masterpiece. 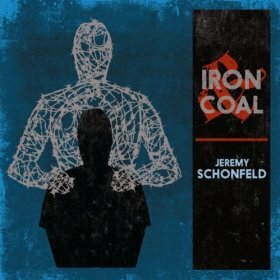 The mix of rock, avant-garde folk, pop, theatrical, filmic, and grunge music styles make Iron & Coal sound like an interesting listening journey nonetheless. In fact, Iron & Coal contains a variety of styles and vocal differences that are more pertinent for the urban, folk/rock hipster with a knack for slower, soulful music in the vein of Josh Groban or David Foster. The thirteen tracks are unique enough to warrant replay, because many of the songs contain varying song structures that often sound like two different songs on each track. In a similar manner, some of the songs seem to lack direction and instrumental cohesiveness. Generally, Jeremy’s songwriting and musicianship are quite genuine, but the result is relatively average.